I received my lenses from Klenspop some weeks ago and I'm sorry for taking so long to upload this review but unfortunately they were sent for my home address and since I'm in college I couldn't do it til now. However I was really excited to show them to you! As always, they arrived safely packed in a box with tons of bubble wrap. Inside this box there were the lenses' boxes and the usual instructions in how to put on and care for your lenses. May I just say I was so happy to see the new boxes! They are sooo cute, I'm totally keeping these because I'm in love with the design! Inside each box you'll find a pair of tweezers and the lenses case. The little pandas are so adorabzz! I actually wasn't looking forward for these lenses because they looked too ordinary. However they were such a pleasant surprise! They were also great for my Shego costest! If you've seen my previous reviews you already know my eyes are pretty small, so these lenses already enlarge them a lot. I think they're the perfect size for what I want, since you can either go with a dolly look or a natural one! They aren't unnatural at all, and they give my eyes a beautiful dark green colour. They might not stand out that much but if you're going with a more natural look these are great! Easy to put on, I wore them for a long time and they almost didn't bother me at all. They did make my eyes a bit tired, but that's about it. Absolutely loved these lenses! They will be amazing for my Shego cosplay and I honestly couldn't ask for anything better. They're super warm and natural and I was really pleased with them! You can get these lenses here for only 18$! I was already looking forward to these just because they were from the Bunny series and I just love those series! These lenses make my eyes really a lot bigger even though they probably won't do the same if you have regular-sized eyes. I just love the dolly look, even though for these I went for a more natural make-up style! Even though I was looking forward for a lighter green, it's impossible not to love the beautiful combination of colours the Bunny series always have! These are green with pinches of yellow and pink and it just makes them so much cuter! As usual, super comfy, didn't make my eyes tired and were easy to put on! I wish these lenses lasted longer because I just love them! Even though I'd prefer if they weren't as dark, I really love these and will totally be wearing them in the future! 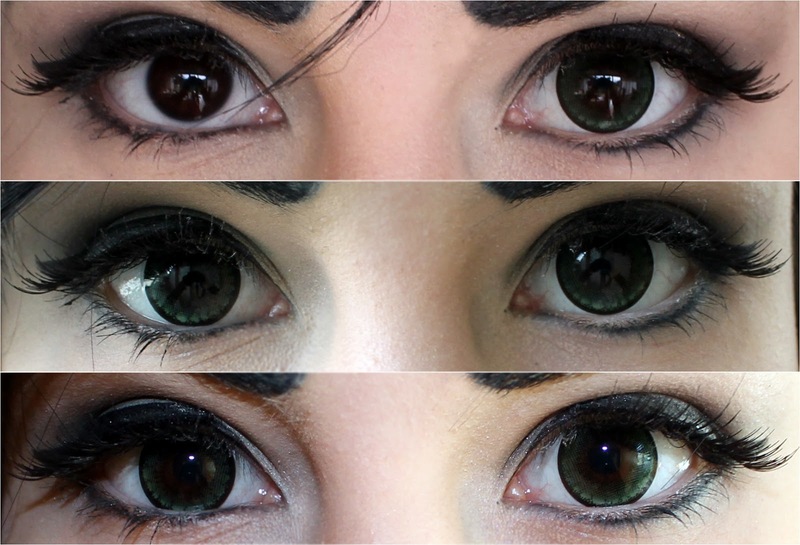 I recommend them to whoever is looking for fun, cute, dolly and comfortable lenses! You can get these lenses here for only 18$! !